I know I’ve been away for a lot of the summer, and I apologize. On the bright side, I have two pieces of good news: I read a ton so have a lot to talk about, AND I’ve done a lot of soul-searching and I think I’ll be able to balance my blog a lot better with my other commitments in the following year. I’m making it a goal to post a lot more often. Freshman year was my time to settle in, and I stressed out a lot more than I should have and let little things get under my skin a lot more easily than I’d like. This blog makes me happy and I was dangerously close to letting it be the opposite by piling on other commitments and drowning under my own expectations. It’s been really good to get away from everything for a while and resort my priorities – this blog is definitely going to be more of a priority in the coming year because it’s a huge part of who I am and who I want to be. On the bookish side of things, summers are usually when I read a ridiculous amount. With no school, lacrosse, or anything else to eat up my time, I devour books. I have a few that definitely stand out to me in the sea of books I devoured in this summer. I am really not an adult books kind of person. I was reading young adult when I was an MG-age and MG when I was at picture-books age. But the trend doesn’t seem to be continuing. It’s really rare for me to completely fall in love with an adult book the way I did with The Night Circus. Everybody gushed so much, especially about the writing, and I scoffed a little bit. Pah. Adult books. But then I read it. The writing is beautiful, but it doesn’t overshadow the story. It’s so subtle, elevating the story to another plane. It’s its own kind of magic, plumping up the plot and adding a gorgeous air to everything. It was so elegant and absorbing. I truthfully haven’t felt this invested in a book since I read Harry Potter. Other books can be captivating and absorbing and this one was too, but more than that, it was a book I wanted to LIVE IN. The second I opened it and read the first chapter, I knew I wouldn’t be able to tear myself away but I also dreaded finishing it. I wanted to relish the words, sink into the story for as long as possible. It all is completely genius – the stories wrap around each other and tangle together and it’s so dreamlike and evocative but it’s also so clear that I was never confused. 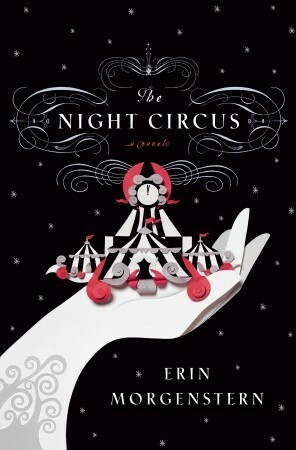 Erin took a lot of risks and the end effect was just as magical and well-presented as the circus it conveys. It really gives me shivers. THIS is the type of book that I look for in everyday life. You know there are some books, like The Hunger Games or Harry Potter that are so completely their own that nothing will ever come close to them? A unique concept, a writing style that perfectly fits the plot. The type of story you look at and you think, this is a landmark. This is it. I loved Amy & Roger’s Epic Detour. There are a lot of road trip books and they’re hard sometimes to distinguish from each other when they can be extremely similar, but it was good. I put off reading Second Chance Summer for so long because I thought, it’ll be good but it won’t be a knockout. I also wanted to wait until its release in paperback because I really like having long books in paperback. I finally got it and it just contained all the essence of summer and the beauty and fragility of everyday life and this romance and this family and this setting that just killed me. It was the type of book I’ve been craving for so long – similar to all these YA books in the best way but also different in the best ways. I absolutely adored it. Then I forced my twin sister Hannah to read it and she cried and got mad at me for it! It was absolutely beautiful. Henry and Taylor were really sweet. I was expecting the reason Taylor didn’t come back to be a lot more intense but it wasn’t, so it also ended up being more realistic. Morgan Matson had a really nice balance between everything in it. All of it felt really realistic and tapped into all my emotions – it was poignant and lovely. Okay, I adore poetic books like this. Written in dictionary-style entries, this one had so many relatable quotes and gorgeous descriptions. I fell in love with the writing completely. I read Every Day while at camp (and reviewed it here) and really loved it too. This is one of those books that just whittles its way into your heart – wow. I finished it in less than an hour. There wasn’t really a story. It was stitched together and not chronological at all. You had to piece together the subtext behind the entries to get a ghost of a relationship. It was beautiful in that way. Even if you’ve never been in love, it’s about relationships. There are some entries that just stung and others that were soft. It’s about living life and the people around you and all these beautiful beautiful concepts that will also break your heart. And so many love stories obviously romanticize the concept of love. The Lover’s Dictionary does in some ways but also portrays it in a way that feels raw and reflects the multi-faceted dimensions of it. It was fascinating and real and gorgeous. Despite that lack of real concrete story, we got an excellent sense of the characters and the emotion that built behind them. My poetry teacher at Interlochen told me that the way to the universal is through the specific, and David Levithan really tapped into that. His specific details make the love story that much more relevant and added this atmosphere that is absolutely unparalleled. It’s minimalistic and wonderful. I’ve always wanted to read so many classics but I never really made the time for them. Reut from Reut Reads has, unfortunately, stopped blogging but she forced me to read it when I met her! I really enjoyed Holden’s voice. First off, it’s really nice to read a classic before it’s analyzed to death in an English class – I will have to read it for school eventually but it was nice just to read it at surface value and see how much it stuck with me. It was a quick read, a moderately easy read, and I really enjoyed it a lot more than I thought it would. I was shocked by how much I enjoyed it. Pretty much every teen blogger friend of mine pushes this book to me. They’re shocked when they heard I hadn’t read it. So finally I gave up searching for a copy in Tampa and ordered one to read while I was away. I loved how the different elements and stories tied together flawlessly. The history behind Jellicoe Road and Taylor’s current story knotted together so vibrantly and created a story of romance, friendship, territory battles, family, alliances, and so much more. I absolutely adored it – it was distinct, quirky, thoughtful. To be honest, this was such a bizarre book. It’s been a while since I’ve read a book that made me laugh so hard that I woke up my bunkmates in the middle of the night, or laughing until I cried. There was just such a humour behind it – certain lines just jumped out at me. They all fit together so well with Astrid’s voice and despite the hilarious, bordering-on-unrealistic circumstances that she found herself in, there were some concrete messages and development throughout. I didn’t absolutely fall in love with it, but I really really liked this book. If you’re looking for a funny one that’s completely out of the box, I highly recommend Firecracker. Like Jellicoe Road, my blogger friends have been trying to get me to read this one for ages. It’s a modern classic of sorts. Despite the time difference (it was written about twelves years ago), it’s so relevant to modern day high school. I was really surprised by how familiar it all was. The journal-style writing made me feel so close to Jessica and really get invested in the characters. I empathized with her on so many levels. I found this book to be so utterly fantastic for high schoolers. It’s just a really solidly relatable book. Despite being away for eight weeks, this book really infected me with the travel bug, with wanderlust. The descriptions of the settings – and Bria’s personal discovery – had me absolutely hooked. Between art, confusing relationships, and opening herself up to risks, I really adored Bria’s narration. The plot and the writing interspersed perfectly, enhancing the setting just enough to where I could picture it vividly but not so much that it left no room for the imagination. Little drawings were scattered through it and there were just such cinematic scenes that I was completely absorbed by the sensory details. It was a beautiful and realistic depiction of backpacking and made me itch to go. 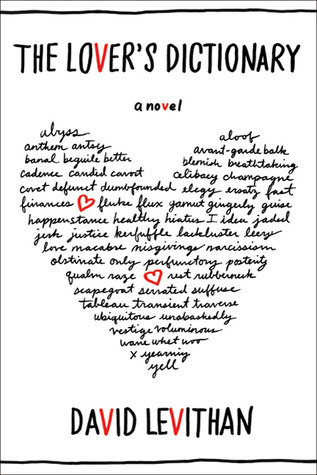 Between the thoughtful romance and engaging self-discovery, I really loved this book. It’s good to be back! What have y’all been reading? Tweet me the answer or leave me a comment below! Great books! 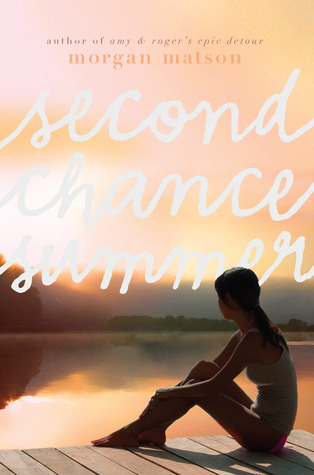 I really want to read Second Chance Summer.. I just can’t find the time to read any more! Who knew summers could get so crazy!! Oh yeah I completely understand – and you should definitely read it when you get the chance! Grace! I missed you! I hope you’ve been having a good summer! I know you had a lot of great things planned. I’m SO SO happy you liked Second Chance Summer. That’s my all-time favorite book. So many feels! I’m one of those people that hasn’t read Jellicoe Road yet. I think that definitely puts me in the minority. I have to read that one. Same with Wanderlove. I’ve missed you too! How’s your summer been? I can completely see why it’s your favorite – and yeah, I finally got to those two! If you loved SECOND CHANCE SUMMER, you’d probably really enjoy them. Hope you’re doing well!